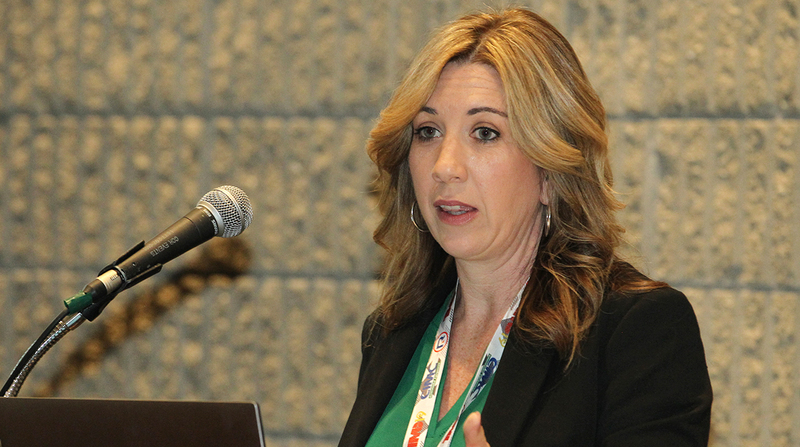 The new 1Search Plus service the company introduced at American Trucking Associations’ 2019 Technology & Maintenance Council annual meeting here will help improve shop efficiency and help service professionals pinpoint the information they need, said Kristy La Page, business manager for the company’s commercial vehicle group. “This advanced search engine captures all the information the technician needs when diagnosing and repairing a vehicle and delivers it to them in one place in a familiar format,” she said in a news release. The information is organized under categories that include vehicle specifications; test procedures; component connectors, locations and operation; wiring diagrams; images and exploded view; repair and replace procedures; after repair information; and labor time. This includes links to other data that relate to the repair, but which may not have come up in the search. The TruckSeries product has repair information for Classes 4-8 trucks and is integrated with Mitchell1’s Manager SE Truck Edition shop management software.